Developed by former Canadian Special Forces operator and custom knife maker, Brent Beshara, the XSF combines extraordinary power with a sleek design to produce the ultimate personal defense weapon. Its full-tang design and textured G-10 handle scales ensure superior strength and a positive grip. 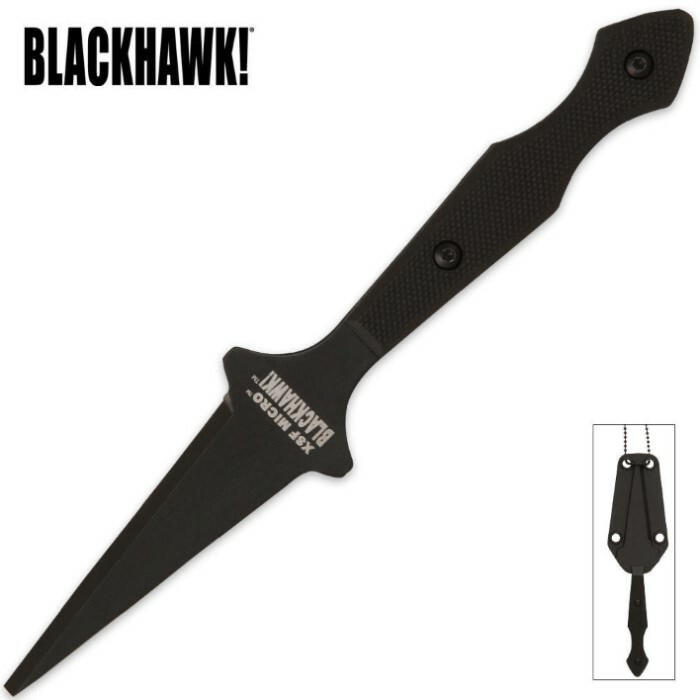 Features include a black Teflon coated AUS8A stainless steel blade. Measures 6.2 in. overall. Includes injection-molded nylon sheath with neck chain.